I had the opportunity to walk around the Queen City Farm block with Rod McCallum recently. While financing is still being lined up Rod assured me that he's on schedule for planting this Spring, the electric is now being installed on his family's new residence at 195 Glenwood Avenue. Most of our time was spent talking about this house - 226 East Utica. 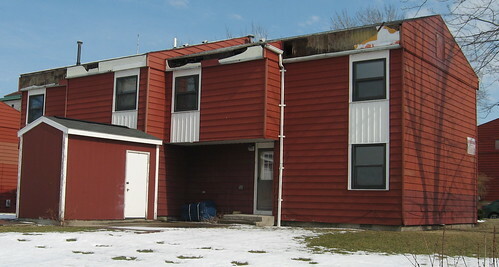 The City has owned this single family home since November 2006. 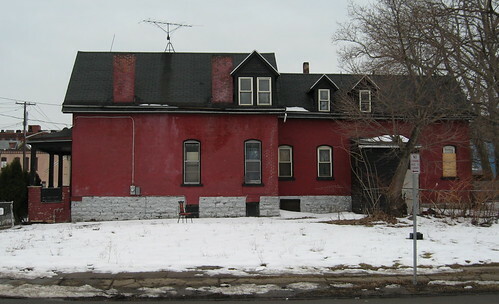 It's currently assessed at $18,000 and has been marked for demolition. 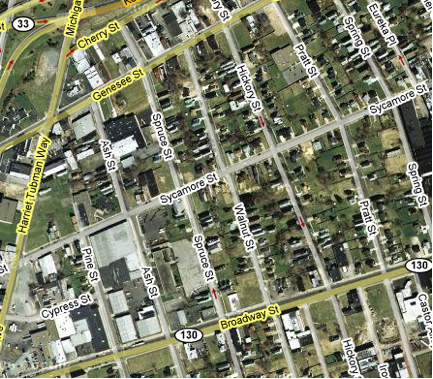 You'll notice that 226 East Utica is also on the 'farm block' - see map. Some friends of the Queen City Farm project recently considered it for homesteading and instead chose a smaller house, one block away. 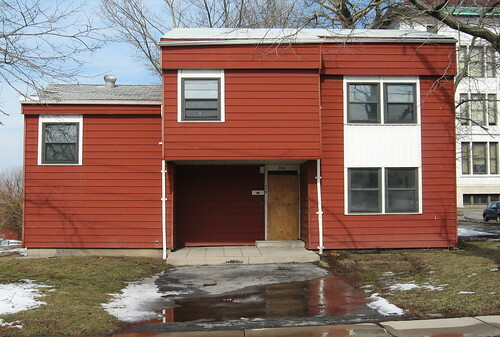 While deciding between the two different places they a property inspection report was completed for 226 East Utica. I asked Rod how extensive the report was and he said it's about 2" thick. So if you're interested in making a very progressive and considered move to Buffalo - or relocating within the city - come on over and take a closer look at 226 East Utica. We'll have a copy of the property inspection report available for you. If you're new to fixBuffalo here's the post - Saying Goodbye? - that got the Queen City Farm project rolling and make sure to check out out the Queen City Farm film. Majora Carter surprised everyone when she founded Sustainable South Bronx as a way to reclaim that community's quality of life. She has grown that into a movement, Green for All, that is using the green economy to move people out of poverty with job creation and job training. Born, raised, and continuing to live & work in the South Bronx, Majora travels the world in pursuit of resources to improve the quality of life in her environmentally challenged community. I learned from Geoff Kelly - Artvoice Editor - Friday morning that he'd just fired up the new Artvoice Blog. So check it out often. BUFFALO, N.Y. -- Issues of space, identity, urban planning, cultural geography, greening and other topics relevant to Buffalo's urban spaces will be subjects of a public community symposium to be held April 4 and 5 in two city architectural venues adapted for reuse. 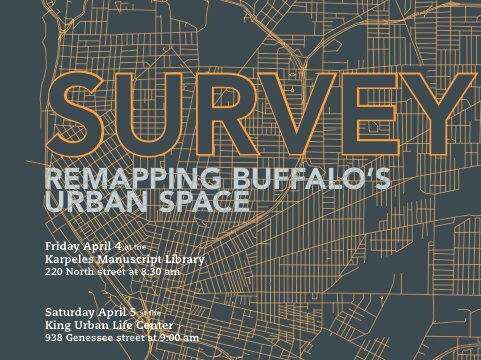 The symposium, "SURVEY: Re-Mapping Buffalo's Urban Space," will be sponsored by the Interdisciplinary Graduate Group for Social Engagement at the University at Buffalo. It will feature more than a dozen presenters from several UB professional schools and humanities departments; community organizations active in the restoration of, and innovative planning for, the City of Buffalo; notable members of the Buffalo community known for their ongoing work in urban documentation and revitalization - read the rest. This unique two day event, spilt between Buffalo's east and west sides, features some of this area's most engaged 'social entrepreneurs' including - Amy Kedron, Michael Gainer, Aaron Bartley and Rod McCallum. I'll be sitting on a panel Friday afternoon at Karpeles with Kurt Schneiderman, Dorthea Bremer and Bruce Jackson and later discussing various aspects of blogging in transforming urban spaces. Here's the full two day schedule. Together with the Buffalo Niagara Partnership and the Buffalo Branch of the Federal Reserve Bank of New York, the Regional Institute is co-organizing and co-sponsoring “Resurrecting Buffalo,” a regional public forum and conversation featuring Harvard Professor Edward L. Glaeser, author of “Can Buffalo Ever Come Back?”. The public forum takes place on Friday, April 18, 2008, from 2:00 to 4:00 p.m. at WNED Studios, Horizons Plaza, Lower Terrace, Buffalo, New York. The forum features remarks by Professor Glaeser, followed by a conversation moderated by Margaret Sullivan of the Buffalo News with regional leaders, including Robert Gioia of The John R. Oishei Foundation, Cynthia Zane of Hilbert College, Richard Tobe of the City of Buffalo, Paul Buckley of Applied Sciences Group and Anthony Armstrong of LISC Buffalo. The forum also includes opportunity for audience Q and A and will be followed by a wine and food reception at WNED Studios. Space is limited, so please register early—the registration fee of $30 covers the cost of the forum and reception. 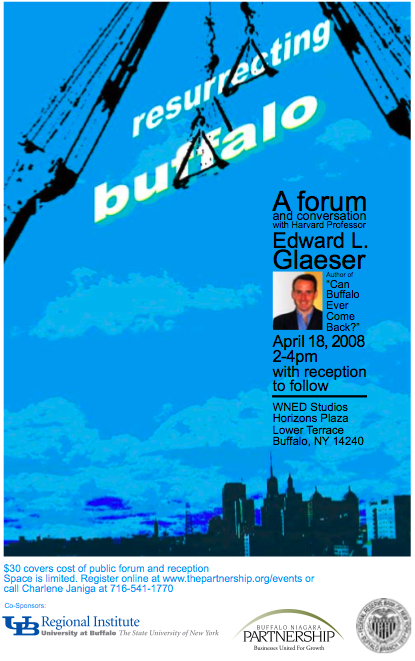 Register online or call Charlene Janiga at 716-541-1770.
fixBuffalo readers may remember this post about the Glaeser work - Following Glaeser - contains links to all sorts of responses to his "Can Buffalo Ever Come Back". Read more about Sycamore Village. I found myself on Watson Street this afternoon and spotted this place, wide open at 102 Watson, (google map). 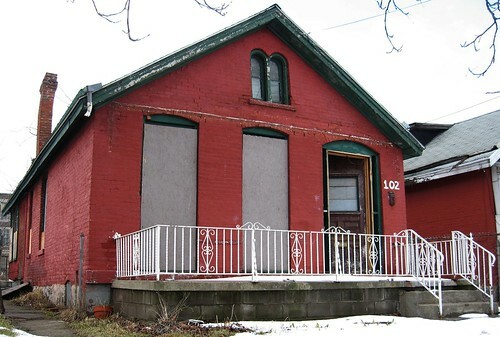 A quick check of City records indicated that this single family house is assessed only assessed at $4000. Checked Housing Court records this evening and found that the owner has been invited to court next week. I'll be following this property through the court drama. 102 Watson Street is right around the corner from a church complex on Emslie Street, a stop on the annual Tour de Neglect. Email was full this morning with this story from the Buffalo News about Erie County's ever increasing population loss. Erie County lost 5,001 residents last year, continuing a decade-long trend of annual population losses seen here and across upstate New York, according to new population estimates from the U.S. Census Bureau. Do the simple math. During both periods, 2000 - 2007 and 2006 - 2007 Erie County continued to lose population at the rate of 15/day or approximately 100/week. Staggering! Surprised? I'd like to know. Meanwhile, UHaul this country's leading do it yourself moving company, closed up today. Wonder why? I forgot about this post - Shuffling Away from Buffalo, from June 2006. A must read if you're still trying to get your arms around what's happening with Buffalo and Erie County population loss. I've been interested in the whole church re-use dialog for the longest time. They're awesome spaces for what would probably be the most amazing living or work space I could ever imagine. I've looked at a number of these places over the years - Transfiguration - St. Matthew's - and of course the chapel over at the German Roman Catholic Orphan Home on Dodge Street. While the community focuses on the current diocesan fire sale of so many buildings - there's another entire level of churches that are frequently overlooked here in Buffalo that have nothing to do with Bishop Kmiec - and his Journey to Avoid Housing Court. Most of the them were built by former Protestant and usually German communities. I'll be following the story of two of them, one on Sherman and the other on Spruce Street. 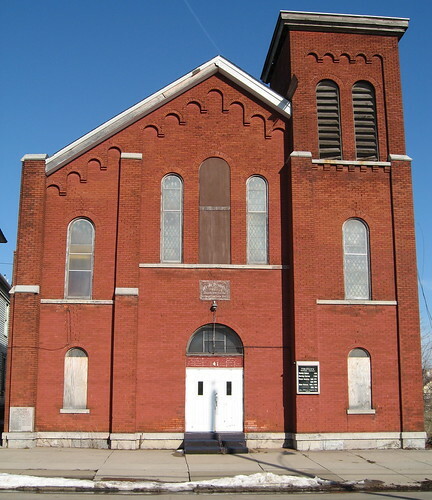 The First German Baptist Church, 1849 - is located at 41 Spruce Street (google map) and remains in good structural condition. It's been vacant for the past two years and as far as I know it's not in Housing Court. Here a few related pics. The house next door, which is owned by the same group and was probably the mance, is really amazing, it's wide open - as of last week - and would also make for a great project. 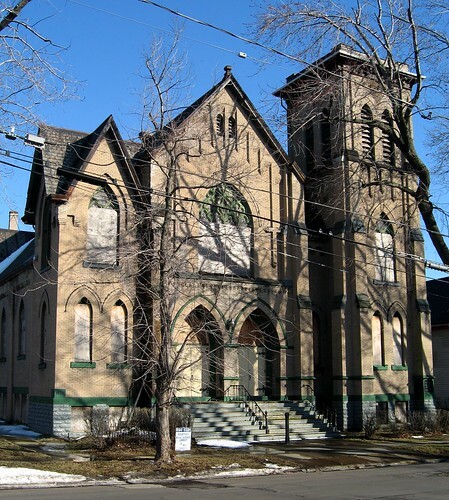 The Salem Evengelical Reformed Church, 1907 - is located at 413 Sherman Street (google map) and is in fair structural condition. It's currenly for sale. 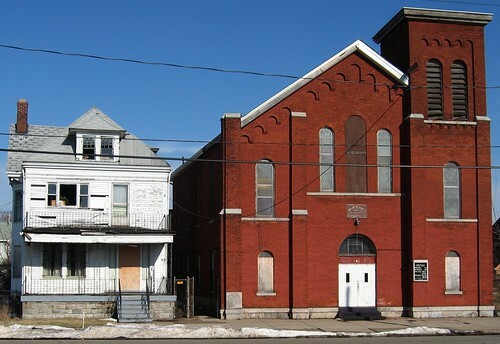 When I spoke with the agent at Barnes Real Estate Group (716.894.5324) I was told that the church, mance and vacant corner property are bundled together. 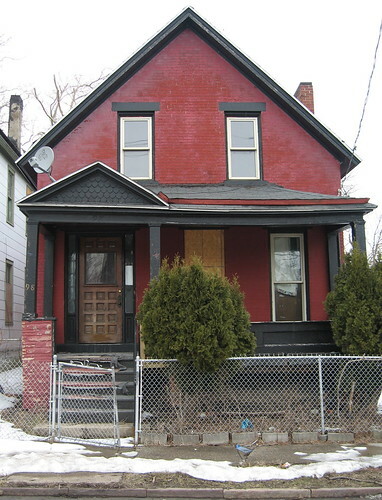 Asking price is $99,000 yet the seller is open to offers and would consider un-bundling the sale. 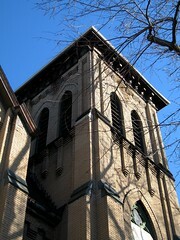 I first noticed the Salem church here, in January 2005. The other day I took a few additonal pics. So, while churches such as Transfiguration plunge further off the radar for possible reuse, some of the smaller places still hold considerable promise. You know, only the adventourous need apply. Could be fun. For fixBuffalo readers who might be unfamiliar with the neighborhood along Woodlawn Avenue - one block from the Row Houses and the new home of Performing Arts HS - not all is shrouded in the neglect that I routinely present here. This 1800 sf ranch house was built in 1996 and along with its priceless radiant heated driveway is assessed at 91K. Always amazed that after a storm, there's no shoveling or plowing required. Aside from a few commercial settings, I wonder if anyone else has a radiant driveway here in Buffalo. Like to know. Bill Trezevant called me the other day. He's the owner attorney for the corporation that owns Transfiguration Church. He told me he'd repaired the building. So...I had to check things out. 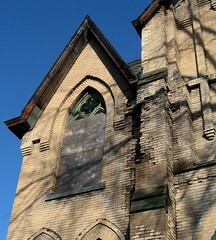 Well covering the stained glass and patching the roof is certainly a good thing. I did notice that the basement window was wide open and the gutter/downspout system still needs some help. If you're new to fixBuffalo, make sure to look at the Transfiguration Archive. Lots of good stuff. And fresh from Toronto, just got these recent pics of the inside - right here. Anyone know what's up with the fence in front of the church? Something ready to fall off? Here's the pic. 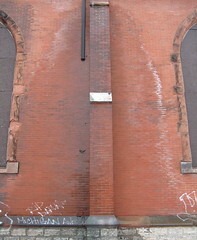 The City of Buffalo acquired 630 High Street in October 2006 through an in rem proceeding. It had previously been owned by the illustrious and dethroned Venere Hutchinson - here's that story from June 2005. 630 High Street is located at the end of High Street where it intersects with Genesee (google map) in what is one of my favorite parts of Buffalo. This blog's banner pic was taken on top of another City owned building a few blocks away at 669 Genesee, a building that met a fate similar to what's unfolding here. When I stopped by the other day, the building was wide open and scrappers were inside collecting what they could. The copper trim was being stripped off and carted away. This is really an amazing building with its south facing fenestration. I imagine it will be another casulty of the malaise that afflicts this City - demolition by neglect. I mean there's not much left of Genesee Street either. This past October I shot all the cool looking late 19th and early 20th century buildings between Michigan and Jefferson along Genesse Street - slide show - and 630 High is probably the most interesting reminder of what we were. According to City records ceilings are 12' and each floor has 36,000 feet of space. Killer loft possibility, I know. When I first stumbled upon this spot three years ago I immeadiatly imagined living on the top floor with a roof top garden. I'd driven by it for years down Herman Street and never really noticed it as it's tucked away on an angle. In a similar way, the next block - at Sycamore Street - I'd always looked at the empty corner, too - setting for The Last Fine Time and wondered how it could have all unraveled so quickly. Just spotted this pic of 630 High from May 2005, here. I'll check on this again. I've been watching this single family home at 98 Riley Street slowly decline for the last few years and always point it out on my Saturday morning neighborhood tour. Here's the sales history according to the City's website, and google map. The house was purchased by the current owner almost two years ago and sits across the street from a number of very well maintained homes. This house is steps from Main Street, Artspace and public transportation. And it's right around the corner from Queen City Farm, too. 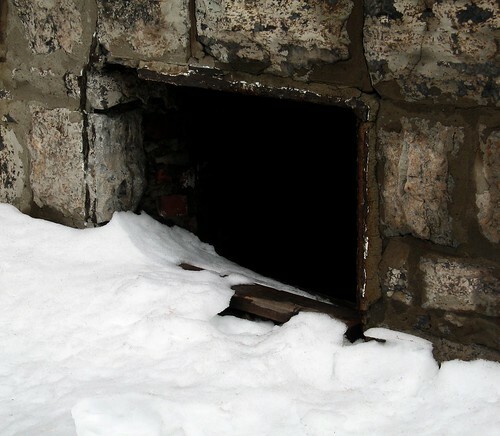 I've reached out to the current owner to see if he's interested in some sort of short sale. The empty lot next door at 102 Riley may be available, too. There's no active Housing Court case. Interested? Let me know. The area surrounding some of our City's schools is arguably worse today than when I started tracking some of these issues three years ago in March 2005 - see my School House Project. Walked around City Honor's the other day and looked at the condition of BMHA's Woodson Gardens housing project. This is what I saw. I'd last walked around Woodson Gardens here, in October 2005. Was shocked to see that it has sliped further into decay especially considering what's planned for City Honors beginning this September, see School on a Hill. So I checked to see if BMHA was in Housing Court on both of these. I know, waste of time. 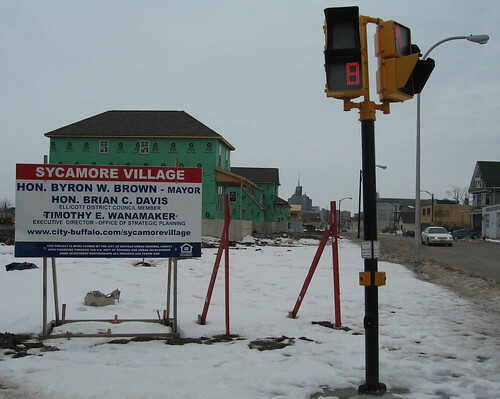 I've been following various pre-construction and construction developments here at Sycamore Village for the past two years. Here's what the corner of Sycamore and Jefferson looked like on Saturday afternoon. 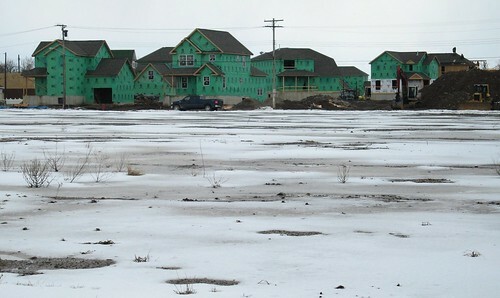 I spent a few moments last week walking the site and saw all sorts of houses in various stages of development. All sorts of vexing questions came to mind. First, while the two block area surrounding - north and east - Sycamore Village is experiencing tremendous foreclosure sales - here, here and here - involving houses that were built in the last 10-15 years, who's asking the question about the real market demand for these heavily subsidized new builds at Sycamore Village? I mean why not buy a "new build" a block away for less than 20% of the proposed sale prices of these new houses? Or for that matter, where are the new owners coming from? Hamlin Park or other neighborhoods on the city's east side that are beginning to experience decline? Certainly not from the suburbs? Will be interesting to track for sure. Third, where's the innovation? If new housing is going to be built why not something different? Something green, energy efficient and something that reflects a more innovative approach to urban infill housing. So many opportunities to really get it right. Why not an international design competition for these spaces? For example, from a recent New York Times article - Learning from Tijuana - we learn that higher density and innovative urban housing development is being considered in Hudson, NY. Another missed opportunity? 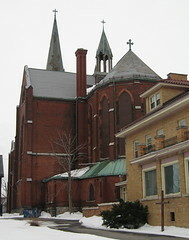 Well, just heard about the proposal for the German Roman Catholic Orphan Home, a few blocks away. I'll be confirming some of these developments, soon. 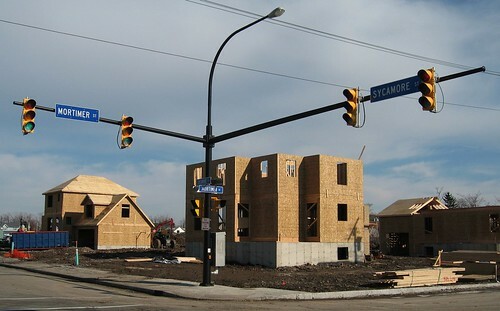 Remember, this is what the Sycamore Village area looked like in September 2006 while standing at the corner of Mortimer and Sycamore. Earlier, this house - at the same corner stood 'till the summer of 2005. It had been recently re-roofed, was in excellenct structural condition and of course was later taken to a landfill. In the country's second poorest city with the second largest of number of vacant properties/person in the country all we get is this heavily subsidized and ersatz 'vinyl victorian' crap. Why? Since when did being poor mean that we have to be so stupid? Buffalo ReUse in the New York Times! Very cool piece in tomorrow's New York Times Magazine about social entrepeneurship. 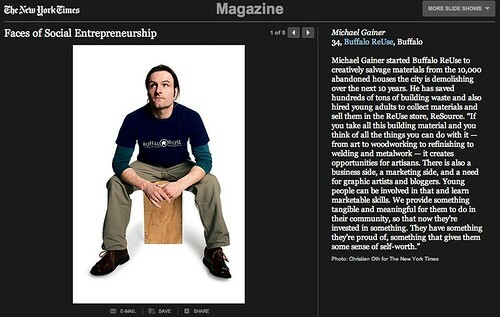 Buffalo's own Michael Gainer is featured along with the Buffalo ReUse, an organization that's literally changing the way this city works. Here's the New York Times link. Remember, Buffalo ReUse, is open for business right here in the neighorhood - 298 Northampton Street, near Jefferson. Make sure to check out the Buffalo ReUse Blog! Just swapped a few emails with Michael this afternoon. He'd like everyone to know about the - 2008 Great Lakes Deconstruction Conference which will be held here in Buffalo on November 16-18th. 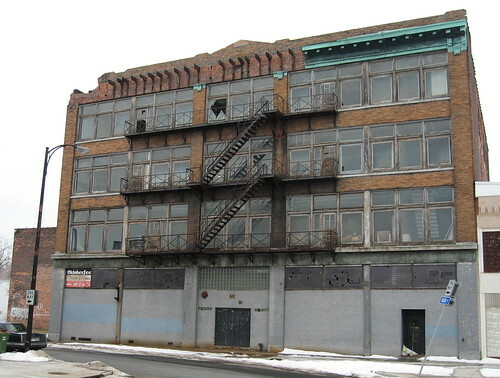 Buffalo ReUse and the Building Materials Reuse Association (BMRA) are sponsoring the first Great Lakes regional conference on developing and implementing building deconstruction and other creative solutions to address problems and solutions surrounding vacant and abandoned structures. 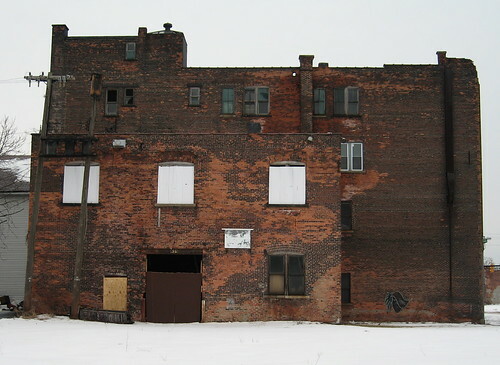 Join us in Buffalo on November 16–18 for the first Great Lakes regional conference on developing and implementing building deconstruction and other creative solutions to address vacant and abandoned structures in your hometown. Many cities in the Northeast and the Great Lakes region have experienced significant population losses in the last half of the 20th century. 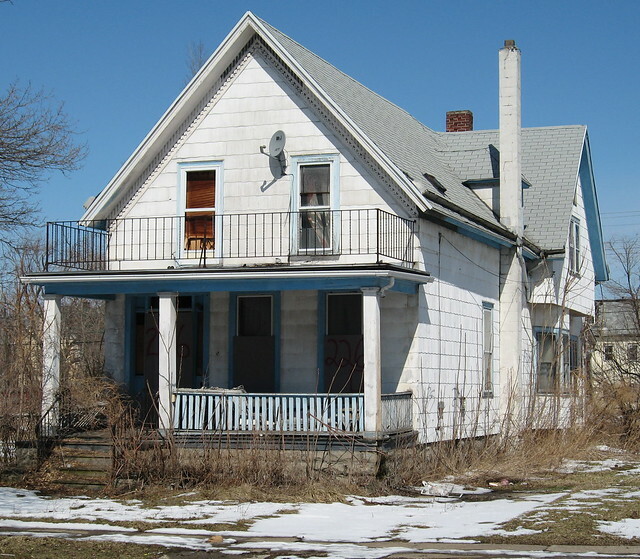 This population loss has led to serious decline and blight in many urban neighborhoods. 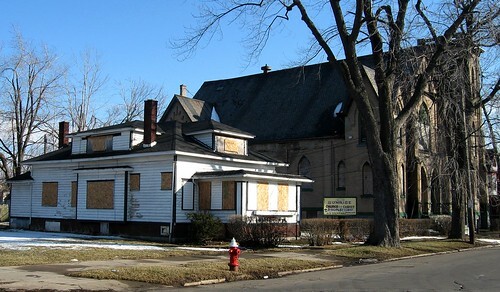 Abandoned and vacant houses are often the most obvious symptom of this decline and can contribute to numerous issues affecting the success and vitality of residents, businesses and governments within these urban centers. At this conference we’ll explore the use of deconstruction, building materials reuse, vacant land management and other creative solutions to specifically address issues unique to abandoned housing and vacant lots in urban centers.